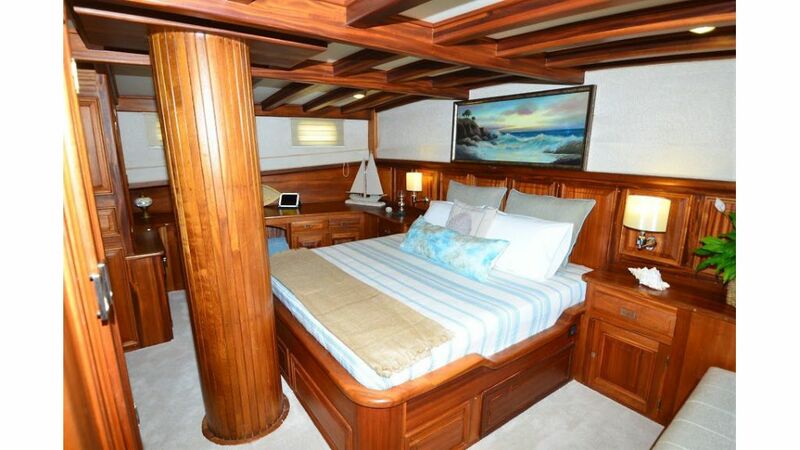 All Her Fittings, Partition Walls , Furnitures, Cupboards, Beds, Frames, Ceilings, Bar furniture, Doors etc. 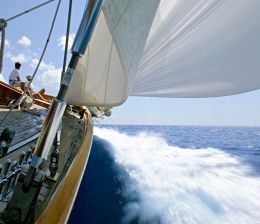 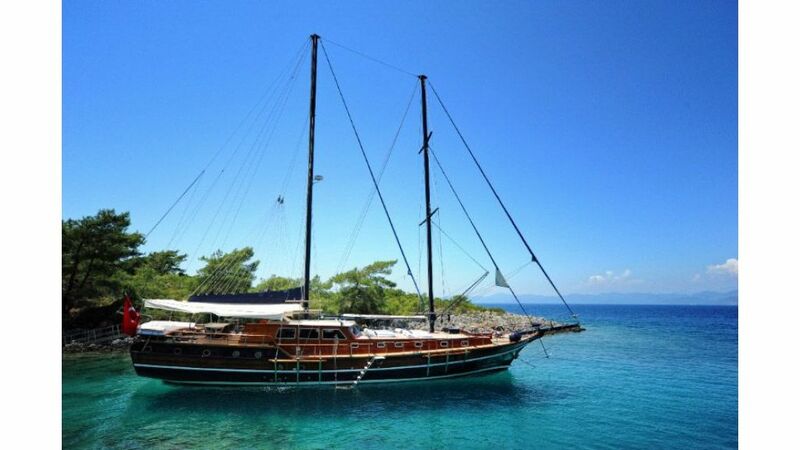 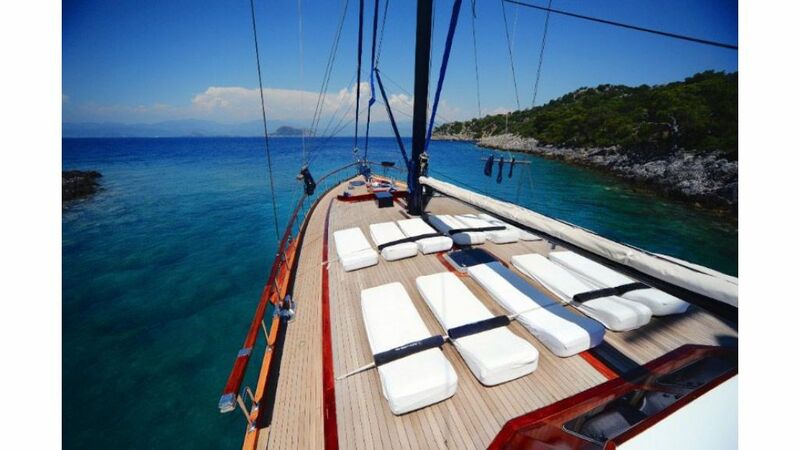 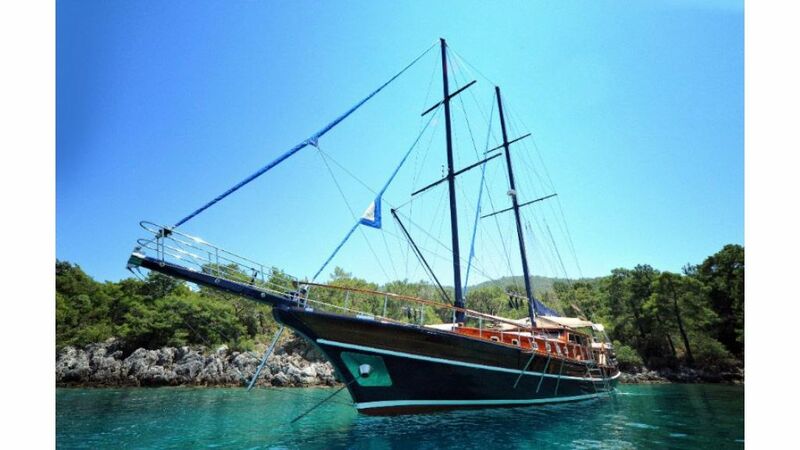 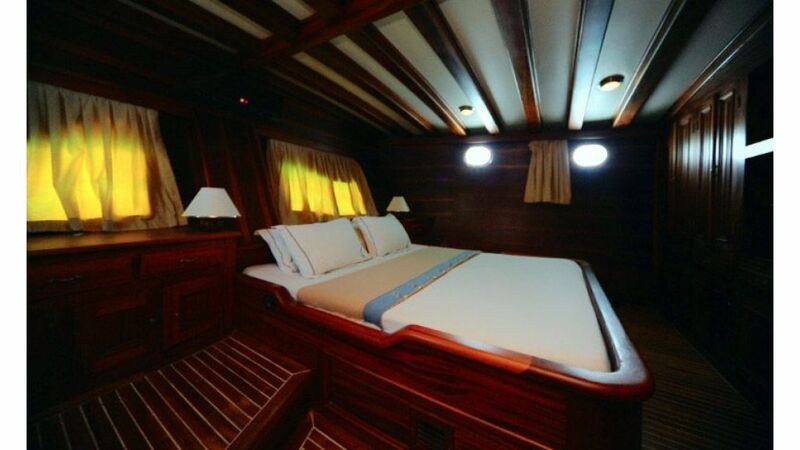 inside the boat are made of varnished Mahogany Wood. 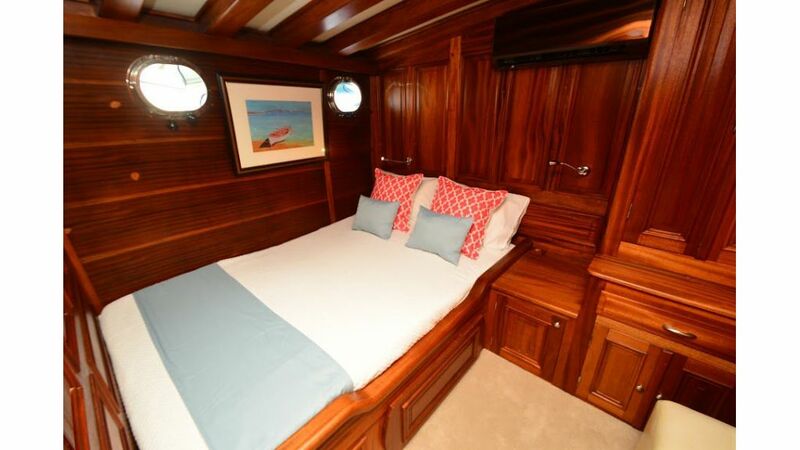 The Partition Walls are constructed with panels of Dark Mahogany Wood with Frames as shown. 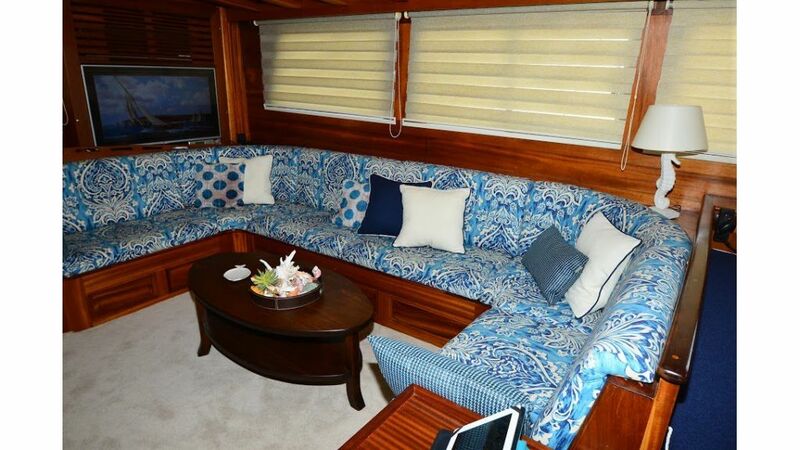 Wooden sofa with cushions as shown on the photo in front of the winch. 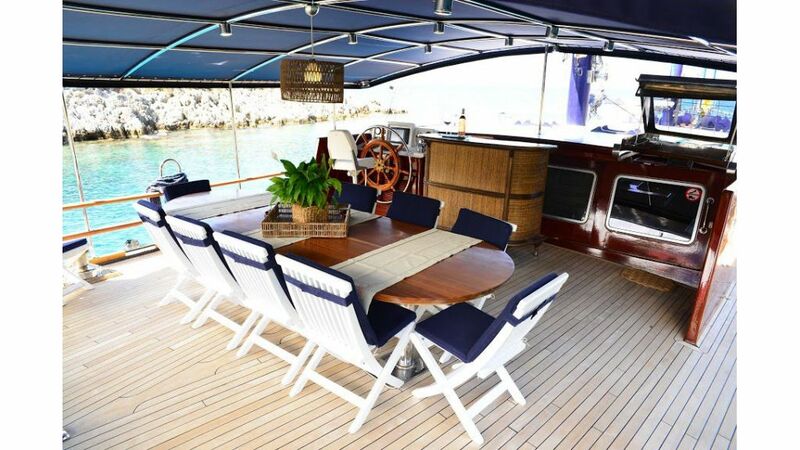 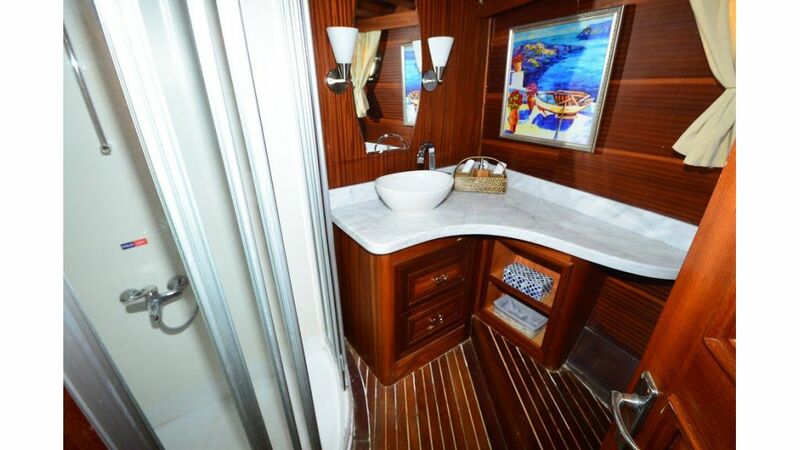 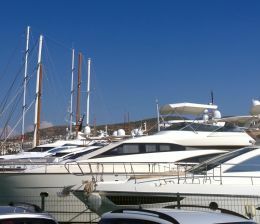 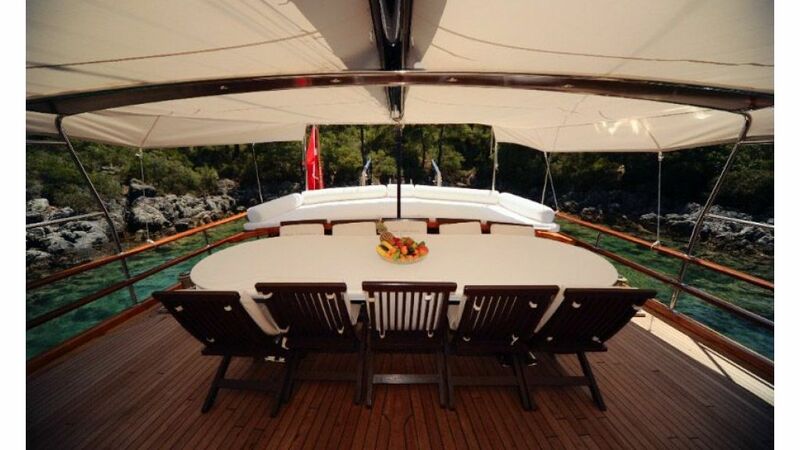 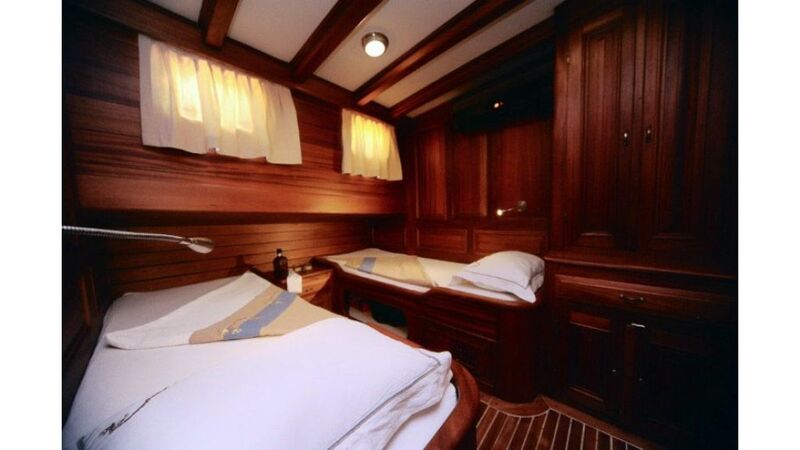 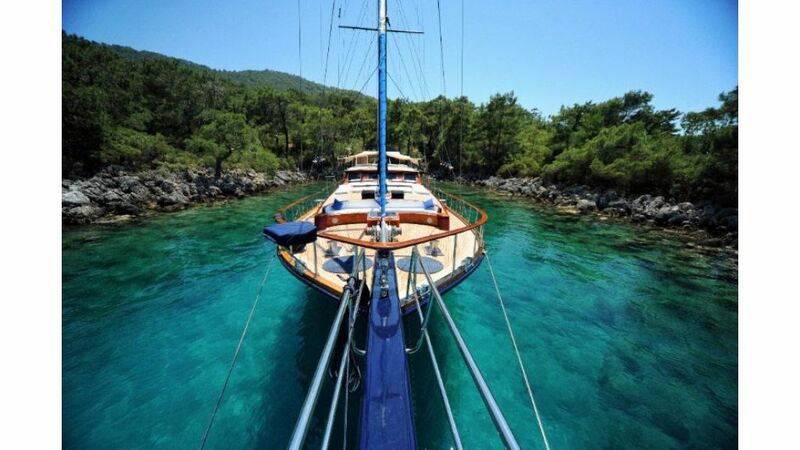 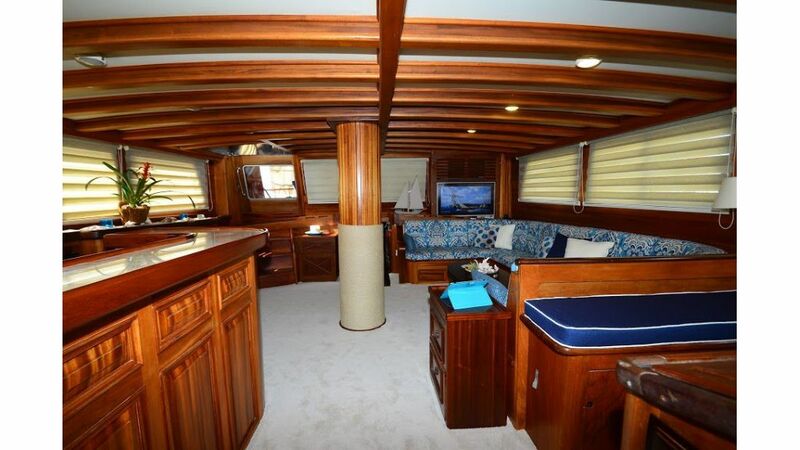 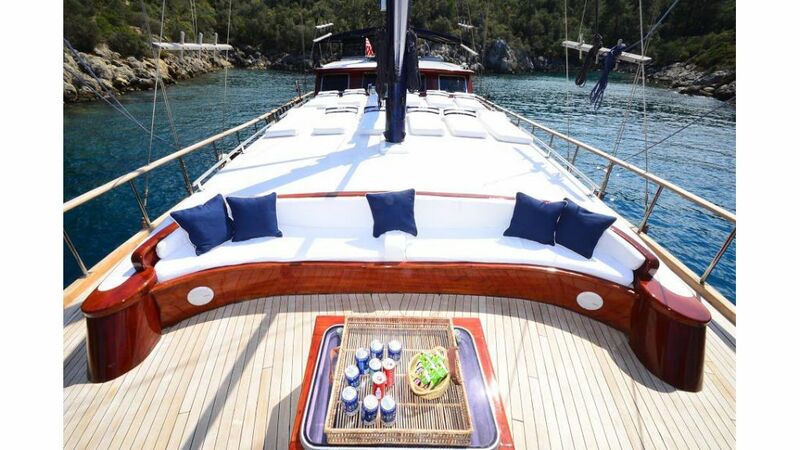 Master Cabin at the stern and the vip cabin abow are complete with furniture, fittings, cupboards, mirrors etc. 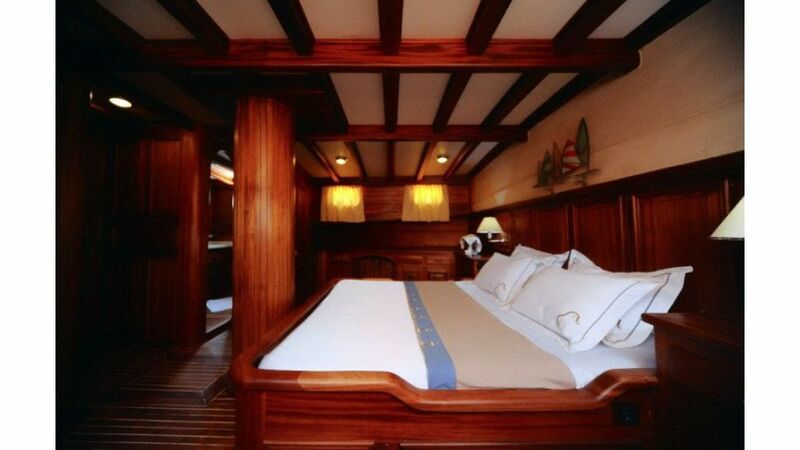 of solid Mahogany wood. 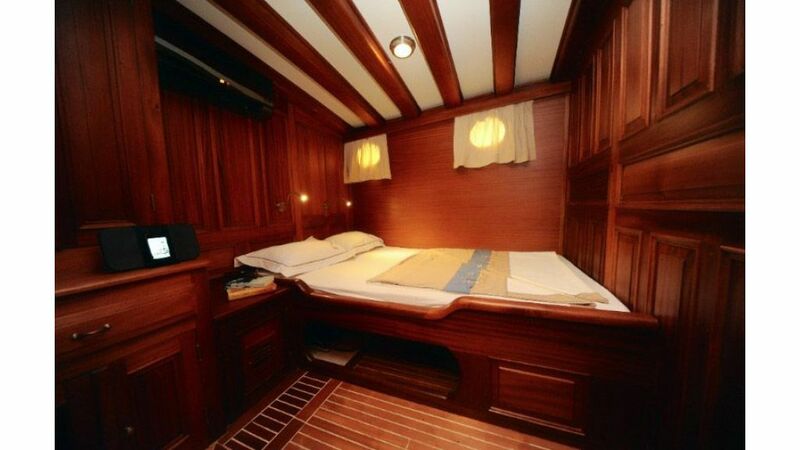 Each Cabin with two beds with furniture as described for master cabins. 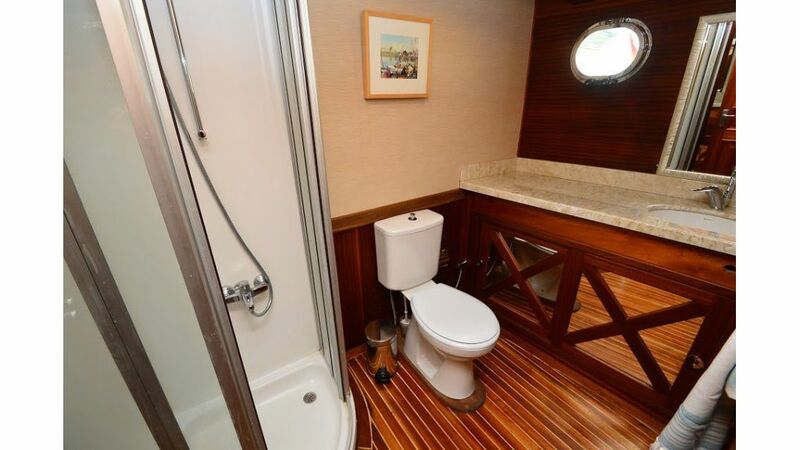 All the Cabins have a Bathroom with Sink, glass Shower cabins, vacuum WC with Bidet. 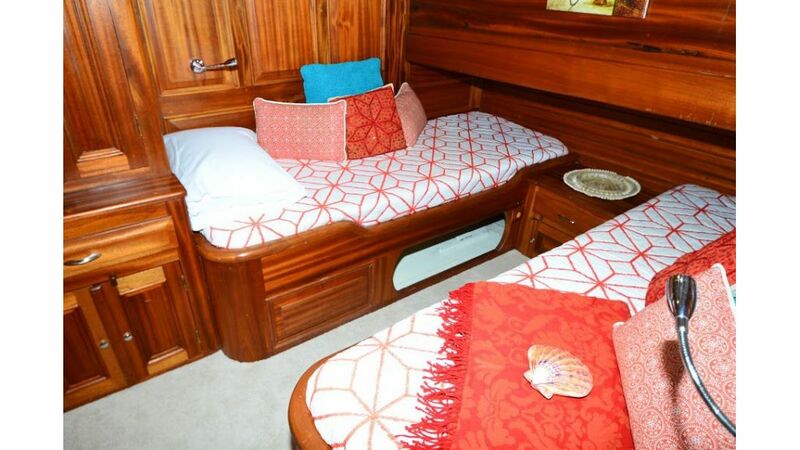 The Floor in the cabins, dinette, bathroom and kitchen is also planked with Teak Striped wood. 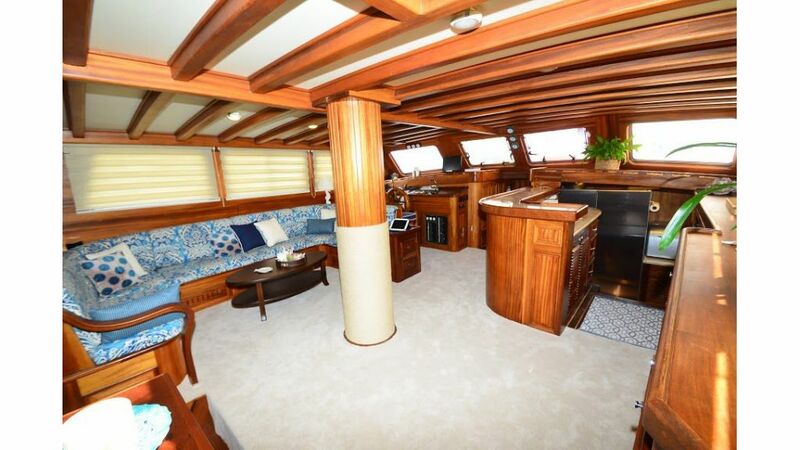 On decks and cockpit of the boat the Floor is furnished with two layers of iroko and the Striped Teak Wood Floor. 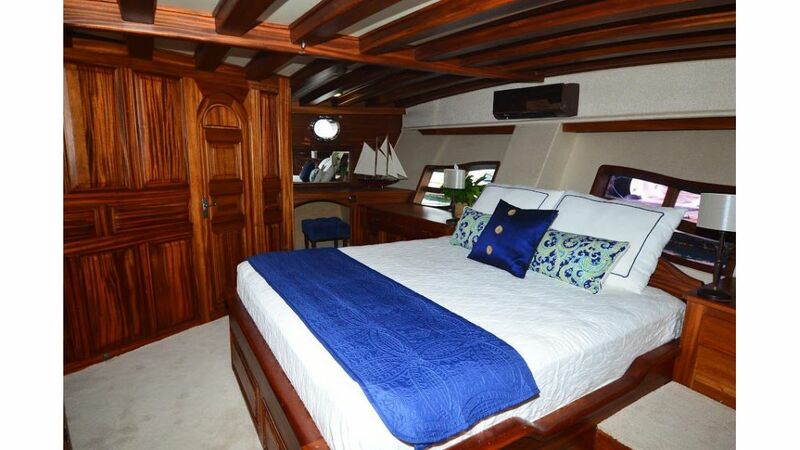 The Partition Walls of this Ketch are built with three panels combined and epoxy glued. 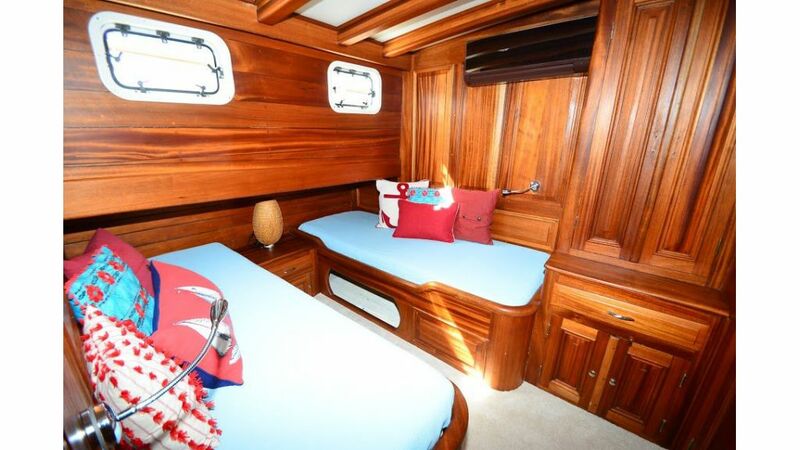 The inner panel are in teak or equivalent wood and the two front panels are of dark mohogany wood. 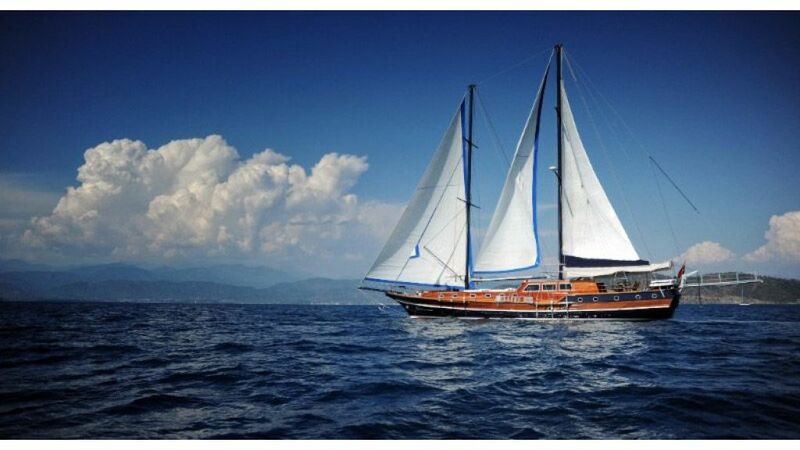 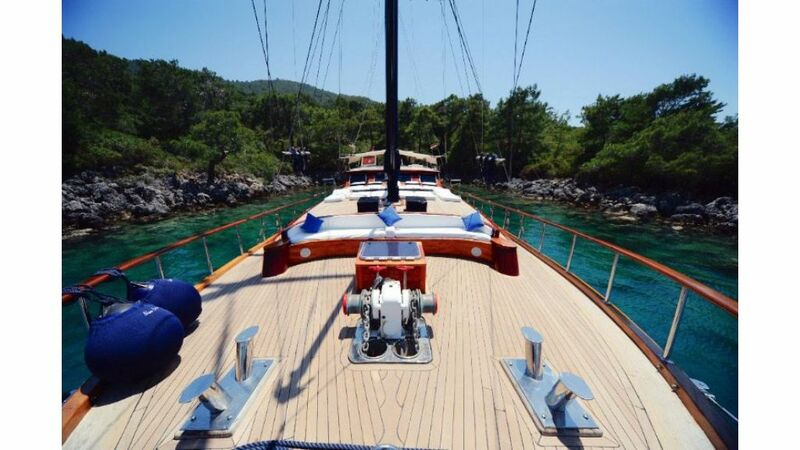 Stainless steel davits at stern, Stainless steel bitts abow and astern. 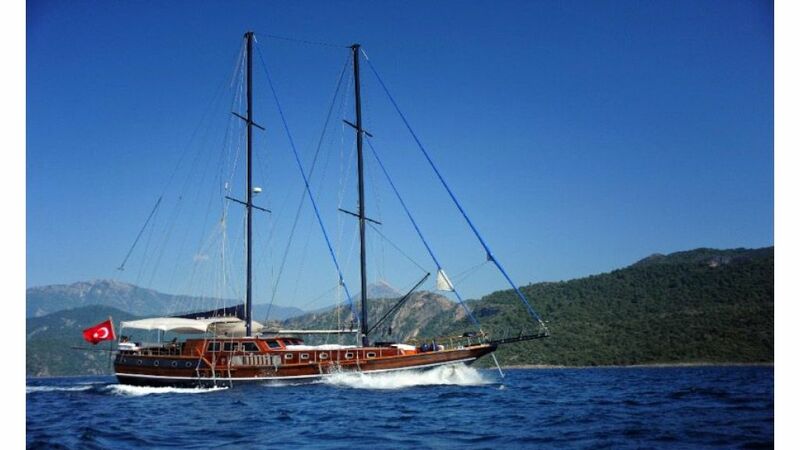 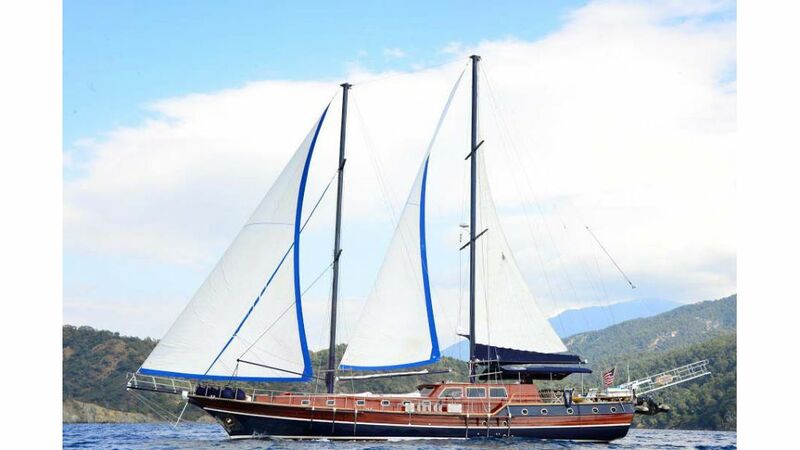 Small wooden teak platform as shown to support the stainless steel davits astern. 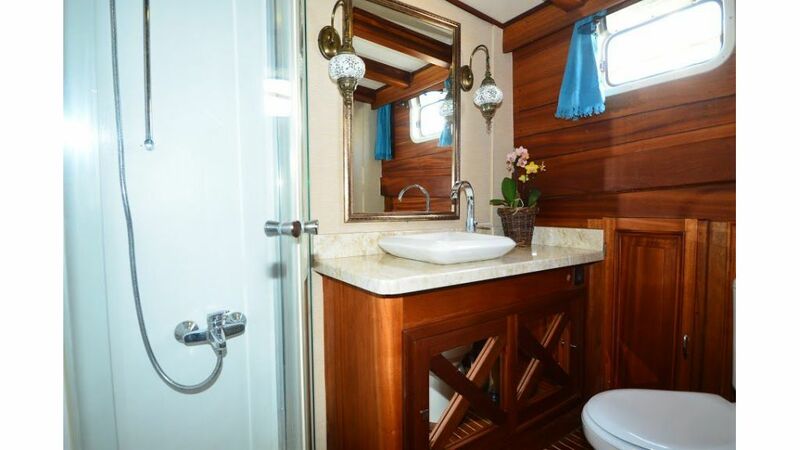 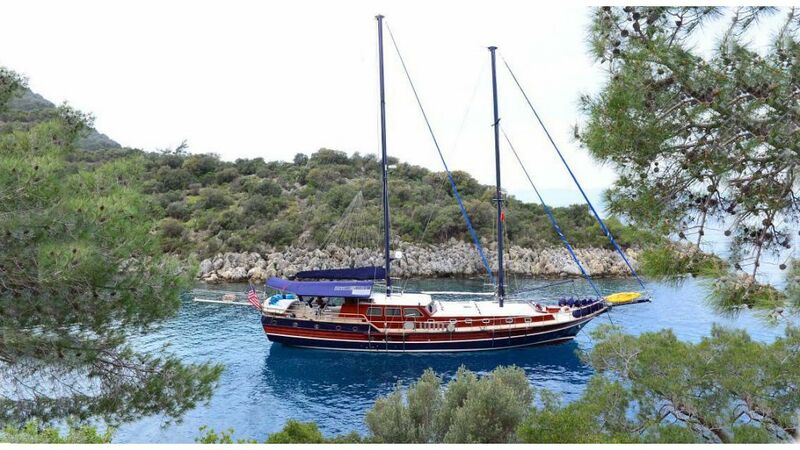 Sliding stainless steel door at the entrance of the boat Electrical Autoclaves Hydrofor to ensure the right pressure in all the bathrooms and kitchen Electrical Boiler for hot water in kitchen and bathrooms Bilge Pumps in appropriate number according to the dimensions of the boat .